Martin O’Rourke was shot in the head in broad daylight on 14 April 2016. NO CRIMINAL CHARGES will be brought in relation to the death of a 24-year-old man shot dead in a case of mistaken identity. 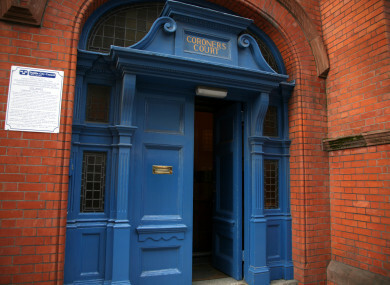 The Director of Public Prosecutions decision in relation to the death of Martin O’Rourke, who was shot dead in a lunchtime attack on Dublin’s Sheriff Street, was delivered at Dublin Coroner’s Court. O’Rourke was shot in the head in broad daylight on 14 April 2016. His family were not present in court but they had been made aware of the DPP’s decision, the court heard. Coroner Dr Myra Cullinane was informed that the period for an appeal of the DPP’s decision had passed and she was now in a position to set a date for a full hearing into O’Rourke’s death. O’Rourke, a father of three with an address at Focus Ireland on George’s Quay, Dublin 7 was shot dead in a case of mistaken identity as part of the bloody Kinahan Hutch feud. The cause of death was determined by a post-mortem conducted by State Pathologist Dr Marie Cassidy on the day of death. Dr Cassidy gave the cause of death as a gunshot wound to the head. The gunman fled the scene on a bicycle following the botched shooting. A man being investigated for the murder was discovered dead in a car in Kildare on 2 December. O’Rourke had recently returned to education and had begun to develop a relationship with his children, according to reports following his death. He was laid to rest following requiem mass at St Michan’s church on Church St in Dublin’s south inner city. Homeless campaigner Fr Peter McVerry was among those to pay their respects at the funeral. Fr Derek Farrell told mourners O’Rourke was “in the wrong place at the wrong time”. Coroner Dr Myra Cullinane adjourned the inquest for a full hearing to take place on 12 December 2018. Comments are closed as legal proceedings are ongoing. Email “No criminal charges to be brought over man shot dead in mistaken identity case”. Feedback on “No criminal charges to be brought over man shot dead in mistaken identity case”.